Serinox had the most liked content! The official release of the Sunday issue in Japan. Posting it here for anyone interested in potentially winning some neat merch. You need to be a member of the Discord; you can enter the giveaway here. Never learned it in the traditional sense, but Akai's name was introduced via textbox in the Bus Explosion case. You'll notice that sometimes characters aren't properly introduced to each other, but they still know their names when the characters have caption boxes, so perhaps it is some in-universe dynamic that is glossed over. Perhaps also: Akai gave his name during police questioning of the bus passengers and Conan learned it off-screen from Takagi. This is not a fact or evidence, still just merely speculation at this point. There was no secrecy though. Ran just said, "It's not just any regular trip..." and was about to tell him in Ch. 994 (the next line would've probably been "...it's the high school field trip! "), but they were interrupted by the murder case. Also, the high school field trip is apparantly a very big thing in Japan, it lasts 4-5 days and apparantly is a very important and unique experience in the school life of a Japanese teenager in high school; I once also read that many high schoolers use the opportunity of such a unique experience to confess their love to their crush. And it is also an often used story point in many manga series, particular for the romance plots. Okay, but you asked if it changed the meaning of the dying message and this doesn't change the meaning of the dying message. Of course the room that the dying message was made in being different changes stuff, but again, that was not what you asked. "Also"? The result of the argument was, that the tap was opened in Amanda's room and the status of the tap in Kouji's room is unknown. No. The meaning in it of itself is still debatable ofc, but the meaning doesn't depend on which room it was made in. Akai bringing it up doesn't prove a thing. The cases may be similar, but you cannot use it as evidence, that everything back then happened exactly in the same as it did during the case in present day. Also, just because Conan & Haibara are pretty certainly talking about Amanda's room/tap in that conversation, it doesn't mean that the tap in Koji's room wasn't also found running as well. While the tap running in his room is never mentioned/confirmed in the chapter, it wasn't disconfirmed either. First part about the messy thing is correct, but the second part is not true, the text never mentions Koji's room in that, like Chek said. I discussed this issue on Discord again and we ended up with pretty much the same thing as Chek posted above, which is why I agree, Conan is talking about the water running in Amanda's room; water running in Koji's room is never mentioned in that chapter. We can't know that for sure; Shukichi speaks with high respect of Koji and his motto and the way he does it, it seems like the have met in the past and he knew him well. Of course, that's not set in stone, but it is entirely possible that Koji and Shukichi became acquainted some 17-20 years ago when Shukichi was in elementary school and they adopted kind of an mentor/student relationship and that Koji was the one who Shukichi into shogi. Kuroda was talking before that as well though and we can't actually tell when she started to stare at him like that, which means that we were technically both wrong. And yet she did comprehend it during the case. What?! Hahaha, Gin is willing to blow up an entire train and an entire train station just to kill one person among them (and that's not even the first time he intends to blow up an entire train), Gin directly murders persons in cold blood (Pisco, Akemi), Gin orders the death of Kogoro and Conan on the mere chance that Kogoro might be related to Sherry, Vermouth killed Jodie's parents in cold blood and burned down their house, intending to burn the 8 year old Jodie as well and more, and now Rumi is supposed to be the more dangerous person than these two alone combined, because she passively allows murder to occur and risks the life of one hostage? Sorry, but that's ridiculous. On the rest: I disagree and I continue to find your logic baffling and unreasonable by quite a wide margin, but it's clear that this is going nowhere. I made my points and I stand by them and so do you, and that's fine. 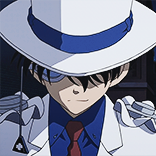 Who did order Akai Suichi to kill scotch? Not impossible, but there is nothing to indicate that Rum was actually involved either. A wrong guess is not a post hoc fallacy. She didn't, look at 987 again. That's a fair share or generalization here and not even quite true. Wearing your on your sleeve is more what elementary schoolers do, but not teenagers in general, who tend to hide their true feelings and emotions more because of puberty and the insecurities resulting from it. It's not a sign for immaturity either. Okay, how about Vermouth messing up in the Rokumichi Hado case, getting overwhelmed by her protectiveness of Ran and compromising her cover by blurting out "Angel"? 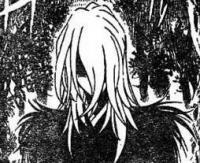 Vermouth is certainly a cunning, cold-blooded woman and she made a mistake. Turns that humans are not one-dimensional beings. Maybe she forgot, maybe it fell out of her pocket and she didn't notice. Being a calculating person doesn't mean you never make mistakes. Nobody's perfect and all that. As Chek mentioned, it is likely that Rumi only painted the tiger on the same day as ruining it, after buying the plates, cups and the food. But even if she did it beforehand, that's not a reason to not buy the cups, plates and food beforehand. There are masses of 24hr convenience stores in Japan and especially in a metropolis like Tokyo, so there was no problem to get all that stuff beforehand, at any time of the day. What Chek said +1.